The Department of Electrical Engineering, Computer Engineering and Informatics of the Cyprus University of Technology, and the consortium of the EU funded project Dossier-Cloud (HORIZON-2020) cordially invite you to attend the 1st Stakeholders Meeting and Workshop on Cloud Computing and Software Services. 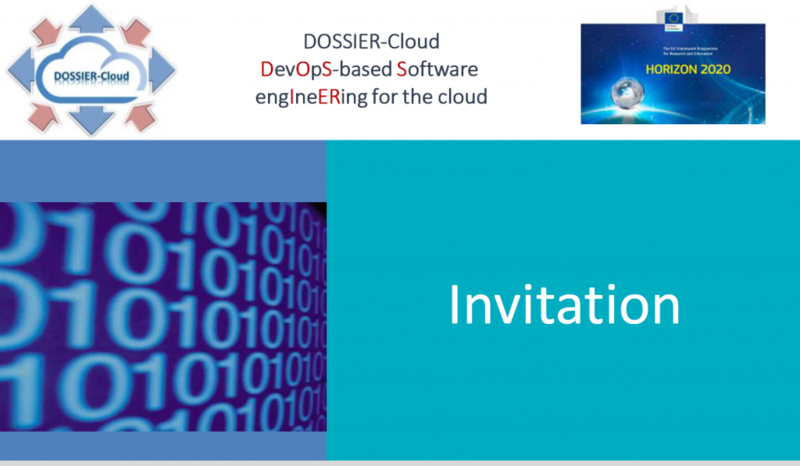 This event will introduce the objectives of the Dossier-Cloud project and disseminate its results thus far. Opportunities for collaboration with the interested stakeholders will be discussed and business/market challenges will be addressed.